More than 50 countries represented from respective embassies were present to a good case at the 8th annual Diplomatic Fair hosted in the InterContinental Hotel from 10 a.m- 4 p.m. Entrance fee was 500HUF for adults.The event was organized by the Diplomatic Spouses of Budapest (DSB), where plenty of international food and drinks were served from the participating countries. Around the stalls were showcased specialties and souvenirs from around the world. 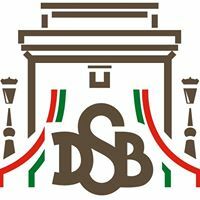 The DSB holding of this day goal was in supporting charities, with raised funds, to specific projects that benefit sick, disabled, vulnerable or disadvantaged children – such as to Pető Institute or SOFI, Special Education and Development Institute. Visitors also enjoyed exciting entertainment which featured music and dance productions. The DSB was not just an entertaining international day for the whole family, but to also find the time for Xmas shopping. This year at the Diplomatic Fair at Hotel commenced an awesome and colourful participation by the Indian Embassy within two scintillating performances by Amrita Sher-Gil Cultural Center.The newly assigned Ambassador H.E Kumar Tuhin to Hungary attended the fair and was touched by the beautiful displays here in Budapest. Last but not least, the British Ambassador to Hungary himself, a proud Scot clad in his kilt welcomed two Scot Lads also fully dress from head-to-toe Scottish style (Scottish Kilts … one of the most recognizable symbols of Scotland and Scottish culture) and of course the bagpipe was not missed).